Aveco's Redwood BLACK videoserver will be unveiled at IBC 2018. Aveco’s Redwood BLACK is a high-end multi-purpose video engine along with the industry’s most advanced PCR-and-MCR automation, integrated into one space-efficient, cost-efficient system. Aveco will unveil the latest member of its product line, the Redwood Black. The software-based integrated channel playout device and multipurpose video engine supports IP and SDI I/O, and UHD. It seamlessly integrates with Aveco’s automation to streamline playout and studio operations. The Redwood BLACK PCR Automation component interfaces to six major newsroom computer systems (ENPS, iNews, Octopus, Annova etc. ), supports edit-and-playout during ingest (growing file operations) and integrated MAM. The MCR automation includes the industry’s first BXF 5.0 traffic integration, the award-winning Ad Juggler for sports networks and Aveco facility management, along with multiple market-leading exclusive features. 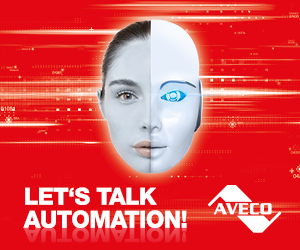 Aveco’s integration of PCR and MCR operations includes automated cue exchange so there’s never an up-cut or a blip of black in switching on-air control between PCRs and MCRs. Redwood BLACK multi-purpose video engine capabilities, powered by Harmonic, include 4K UHD, SDI-and-SMPTE 2110 plus 2022-6, Dolby E encoding/decoding, a flexible storage architecture,4 channels in/out SD/HD or 1 channel i/o of 4K UHD-per-box, up to 2-channel DVE and advanced graphics for sophisticated production presentation and MCR branding. This guarantees end-to-end ingest-to-playout UHD HDR video delivery as a hybrid SDI-IP design or as a complete IP workflow.